The policies imposed during the so-called tough-on-crime era of the 1980s and 1990s had tragic consequences for entire communities that were already challenged by high rates of poverty, lack of opportunity, and rampant inequality. The resulting overcriminalization and mass incarceration—with the attendant proliferation of criminal records, which present barriers to employment, housing, education, and other opportunities—are both direct causes and consequences of poverty. Indeed, the overall poverty rate in the United States would have dropped 20 percent between 1980 and 2004 if not for mass incarceration and the subsequent criminal records that haunt people for years after they have paid their debts to society. The impact of mass incarceration on communities of color is particularly staggering and is a significant driver of racial inequality in the United States. 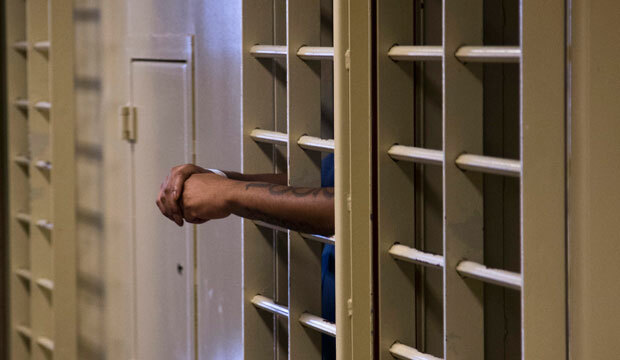 People of color comprise more than 60 percent of the population behind bars despite making up only approximately 39.9 percent of the U.S. population. Criminal justice reform is a central civil and human rights issue of this century. As such, it is critical that policymakers act to end mass incarceration and overcriminalization—particularly with regard to how they affect poor communities and communities of color—by creating an equitable and balanced justice system that removes unnecessary barriers to opportunity for people with criminal records. Congress is now moving to address some of these issues. The Sentencing Reform and Corrections Act of 2015, also known as the Sentencing Reform Act, and the Fair Chance to Compete for Jobs Act of 2015, or Fair Chance Act, are focused, bipartisan pieces of legislation that tackle many of the root causes and impacts of overincarceration and the overcriminalization of poor communities and communities of color. The Sentencing Reform Act is a good first step and contains significant reforms that, taken together, would address many of the concerns with the U.S. criminal justice system. However, more action is needed to bring these reforms to life and make them more complete. Among other things, lawmakers need to seriously address the barriers to opportunity confronted by those with criminal records. Doing so would afford these individuals a second chance and, just as importantly, make communities safer. The bipartisan Fair Chance Act, introduced in both the U.S. Senate and the U.S. House of Representatives in September, would help remove barriers to employment in the federal government for people with criminal records. Because employment status is an important predictor of an individual’s ability to remain crime free, this legislation would offer an important tool for preventing recidivism. Following the example of several large and small companies, as well as some state and local governments, the Fair Chance Act would prohibit the federal government and federal contractors from asking about criminal history until the final conditional offer stage. Notably, the Fair Chance Act would not prevent the federal government or contractors from asking about criminal history outright. Instead, the act—which follows a CAP recommendation for the adoption of fair chance hiring practices—would provide the opportunity for individuals with criminal records to be considered for federal employment on their own merit without being immediately disqualified. The federal government and contractors would still have the opportunity to learn about applicants’ criminal histories before hiring them. Following bipartisan praise, this landmark legislation was voted out of the Senate Committee on Homeland Security and Governmental Affairs by voice vote and will advance to the Senate floor for consideration. Both of these bills are important first steps. They are critically needed and long overdue. As the Sentencing Reform Act moves to markup and the Fair Chance Act moves to the Senate floor, the Center for American Progress calls on congressional leaders to take this unprecedented opportunity to build on broad bipartisan momentum and reform the nation’s broken criminal justice system by moving immediately to pass these bills. Congress should also quickly consider the additional actions needed to end the scourge of mass incarceration and overcriminalization of poor communities and communities of color, such as reforms to how the United States polices its communities and reforms that remove additional barriers for individuals with criminal records. Moving forward, CAP urges a reform strategy that continues to be evidence based and that is focused on addressing the principle legacies of the War on Drugs and the major drivers of overincarceration in the United States. Unfortunately, some would-be criminal justice reform proposals have missed this mark, such as legislation that would make changes to the country’s criminal regulatory system. These proposals would alter and perhaps undermine regulations that, among other things, protect the environment and consumer safety. The calls for these proposals are not grounded in the type of weighty evidence that undergirds the sentencing and prison reform provisions of the Sentencing Reform Act, and they raise separate concerns about their impact. Congress should avoid the temptation to expand criminal justice reform legislation in this way, as it could threaten, slow, or even doom the very positive, bipartisan coalition work that is at the heart of the current reform movement and waste the first opportunity for reform in decades. At a time when little else is working in Congress, policymakers should be clear about their priorities and seize this chance to achieve policy changes that would make a meaningful difference in the lives of real people, families, and communities.